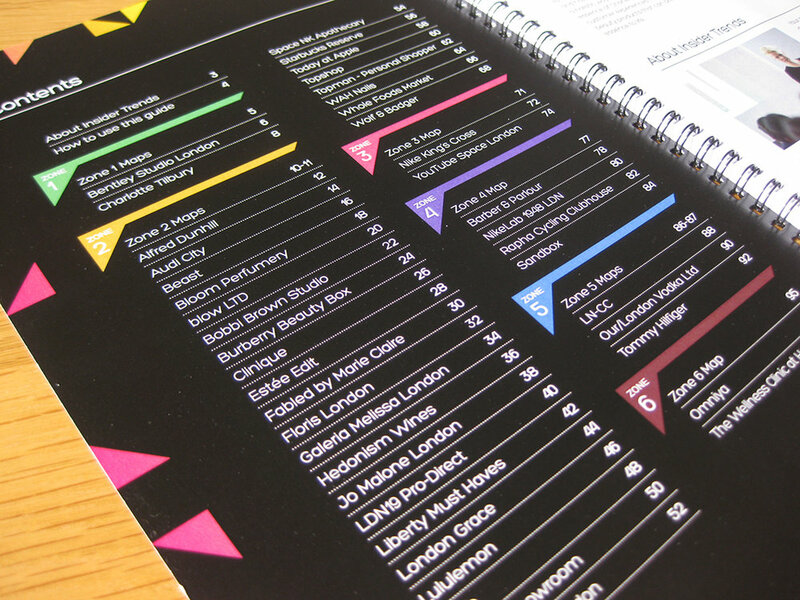 A 100-page wiro-bound retail 'safari' document has been designed and produced for client Insider Trends. Together with maps and destination write-ups the document acts as a self-guided tour and workbook for the participants across different locations in London, and focuses on retailers in the cosmetics, beauty, health and self-grooming sectors. 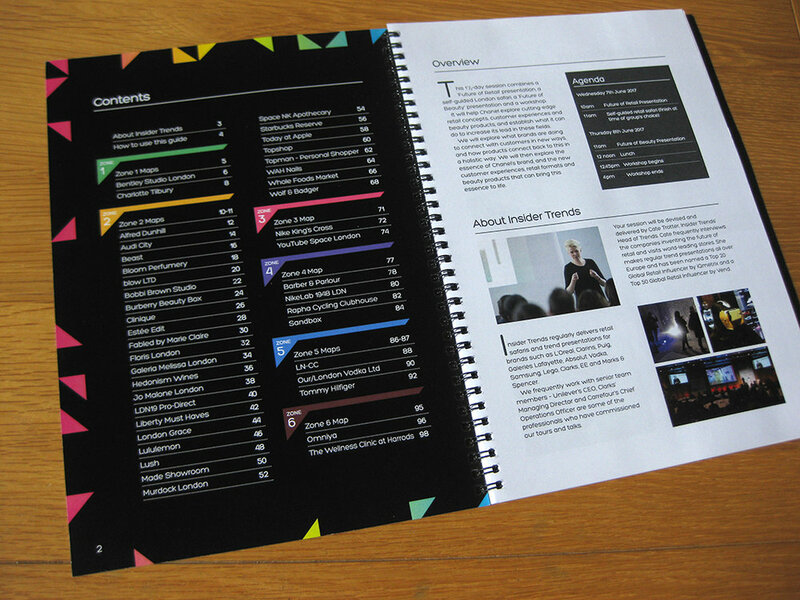 The document was digitally printed as only 25 copies were required.